1. 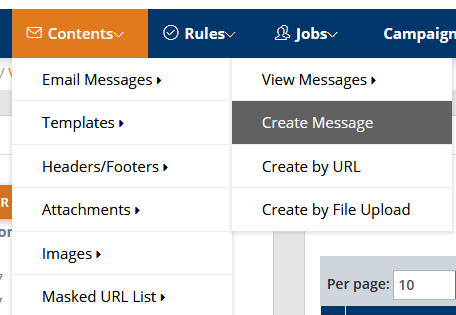 After logging into the application, select the “Create Message” option within the “Email Messages” section by hovering over the “Contents” tab above. 2. Name the message and choose if you would like to add a header or footer. (See How to Create Header/Footer). Once the message details have been filled out, you can then move to creating the message content on right side. 3. Create message content. 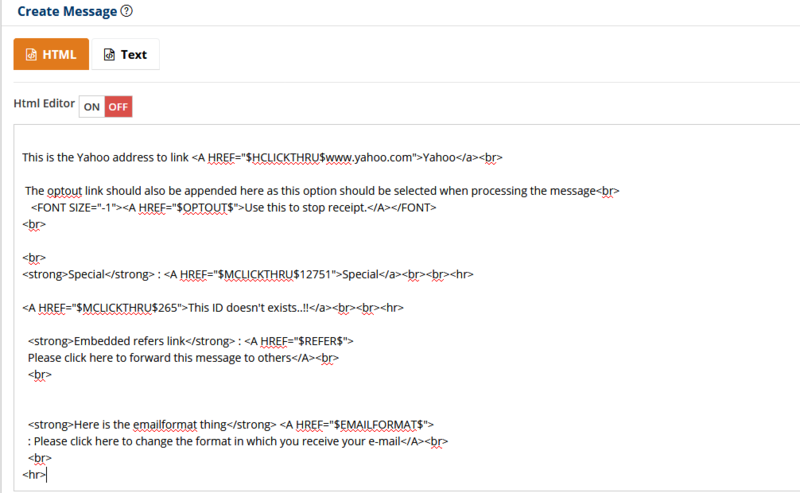 Be sure to add an “Opt-Out” script into the message body. Without an “Opt-Out” script the message cannot be created. 4. Our application provides an opt-out (and opt-in) page for all broadcast lists. To include the code to allow the user to opt out, select the “Help for this page” option by hovering over the “Help” tab at the top right of the screen. 5. Once the message content has been completed you may select additional options below. 6. 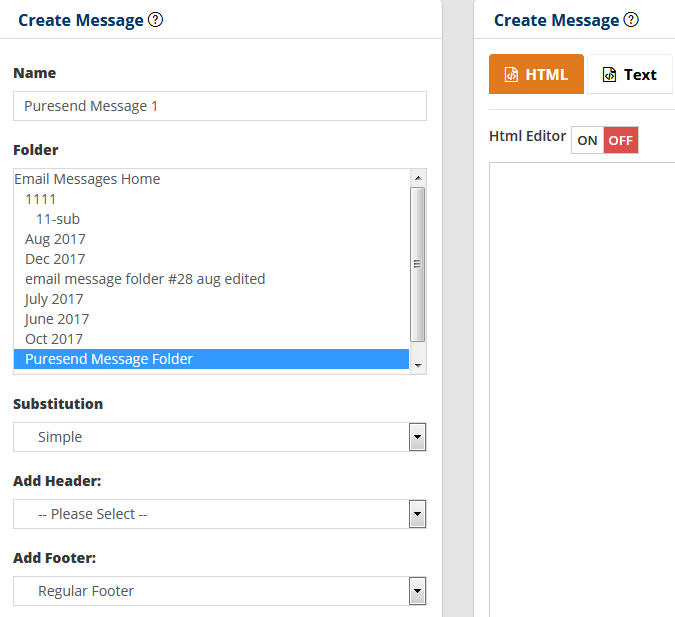 Select the “Create” button to complete the message creation.